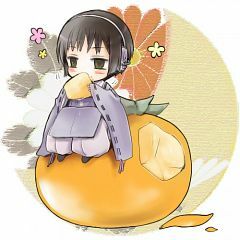 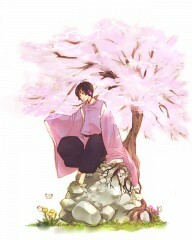 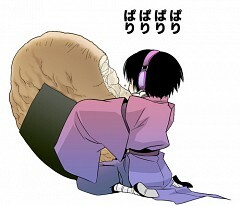 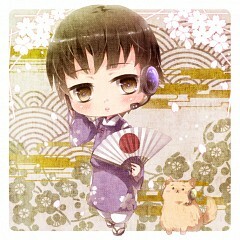 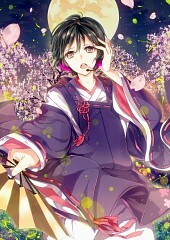 38 anime images in gallery. 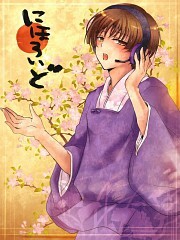 Tagged under Axis Powers: Hetalia and Japan. A version of Japan that appeared in an advertisement on Prussia's blog, in the April Fools' 2009 event on Kitayume. 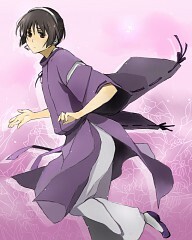 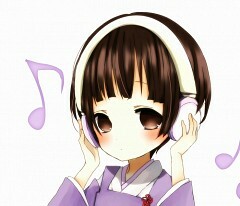 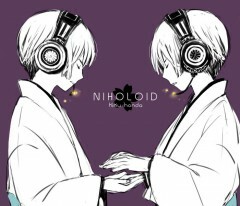 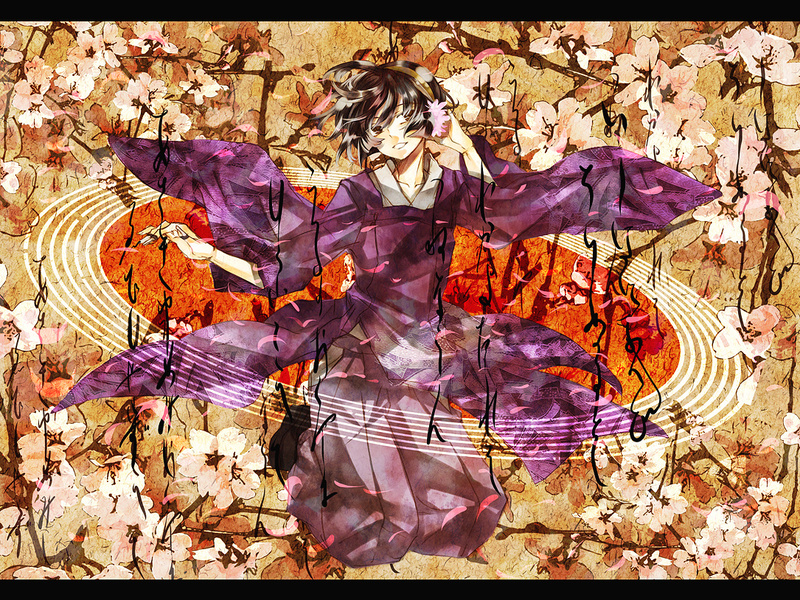 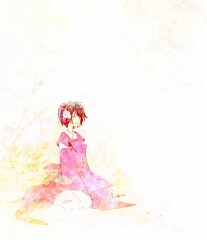 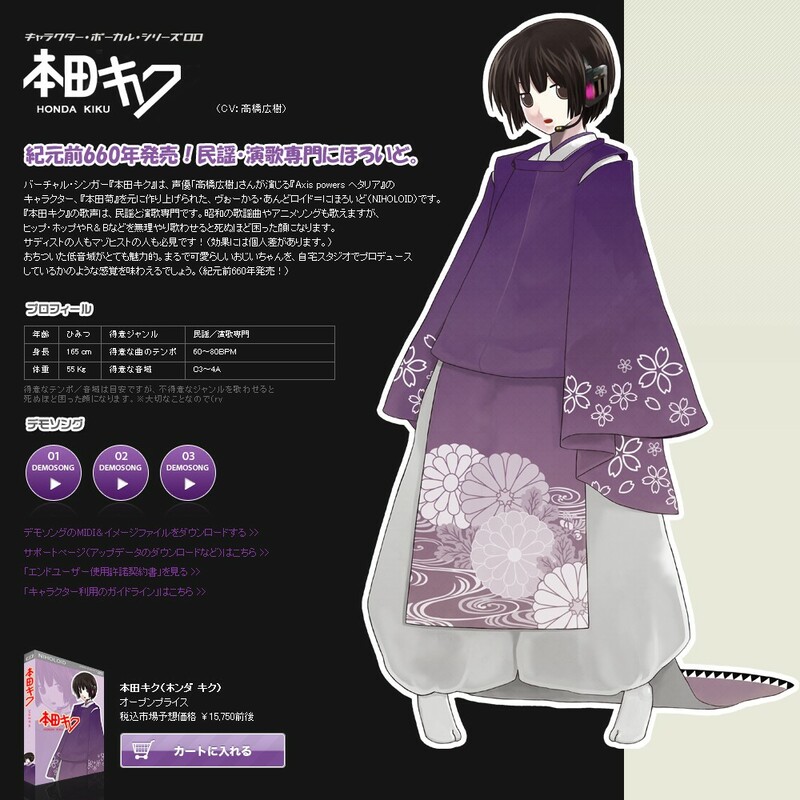 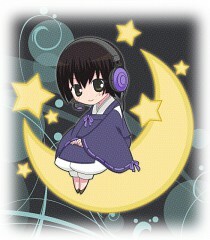 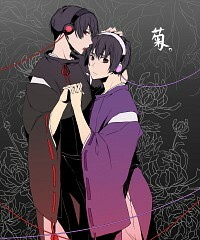 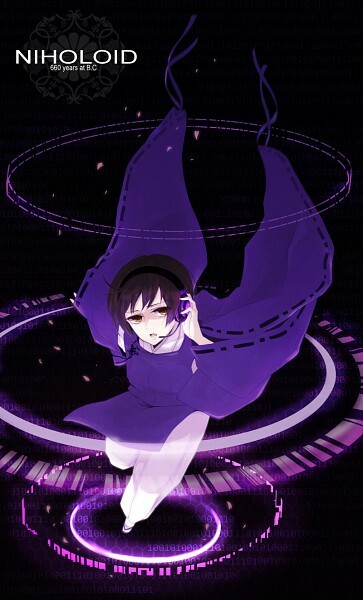 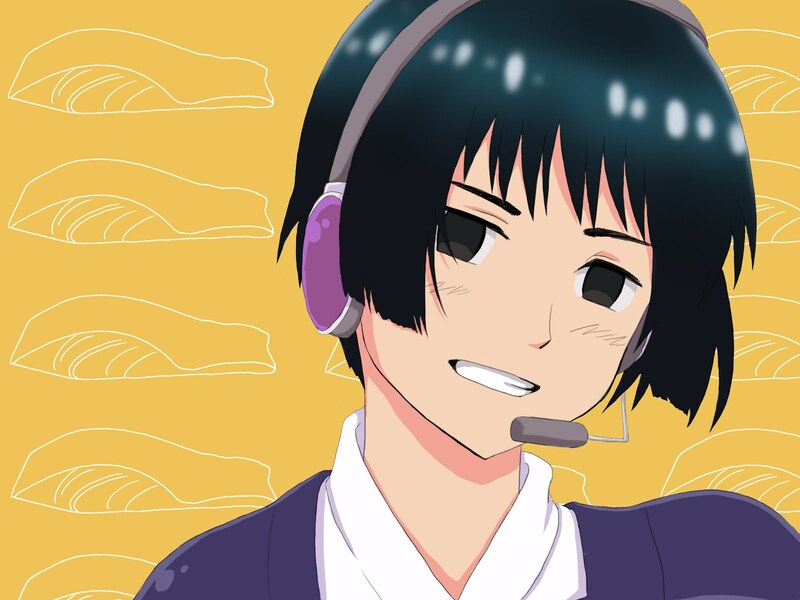 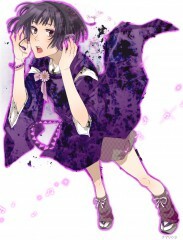 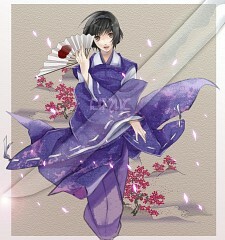 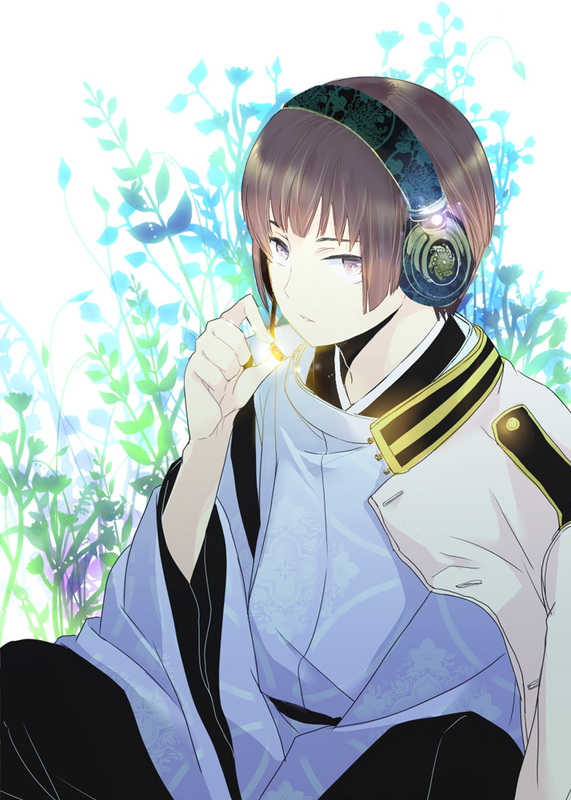 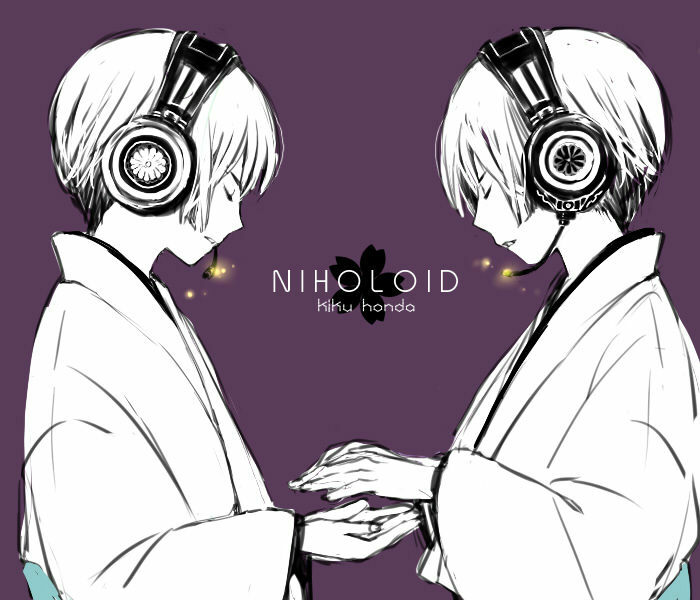 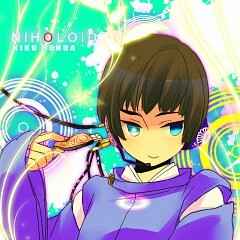 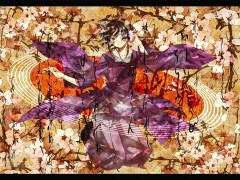 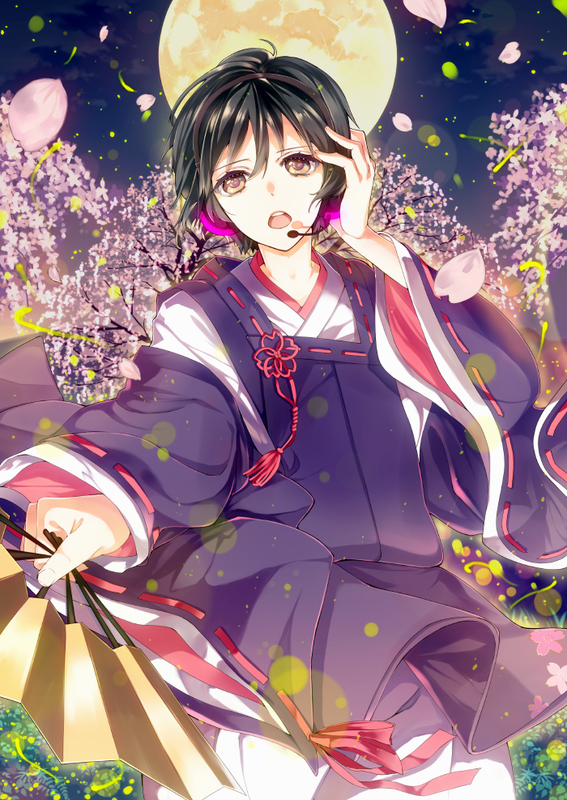 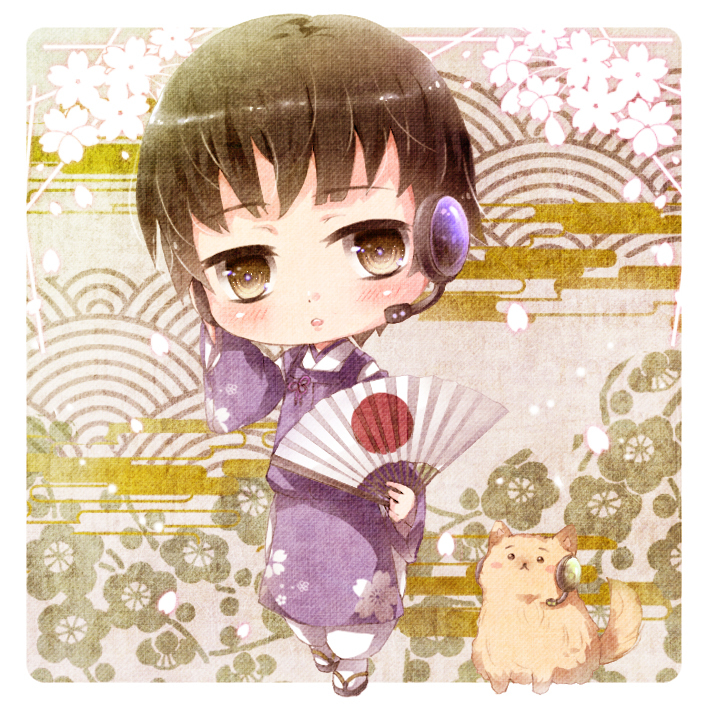 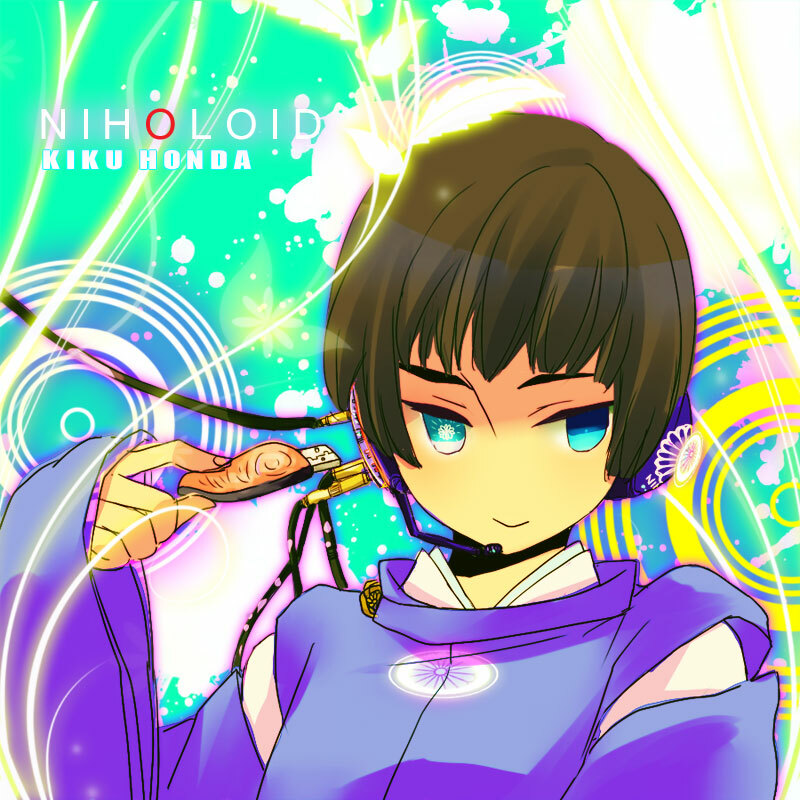 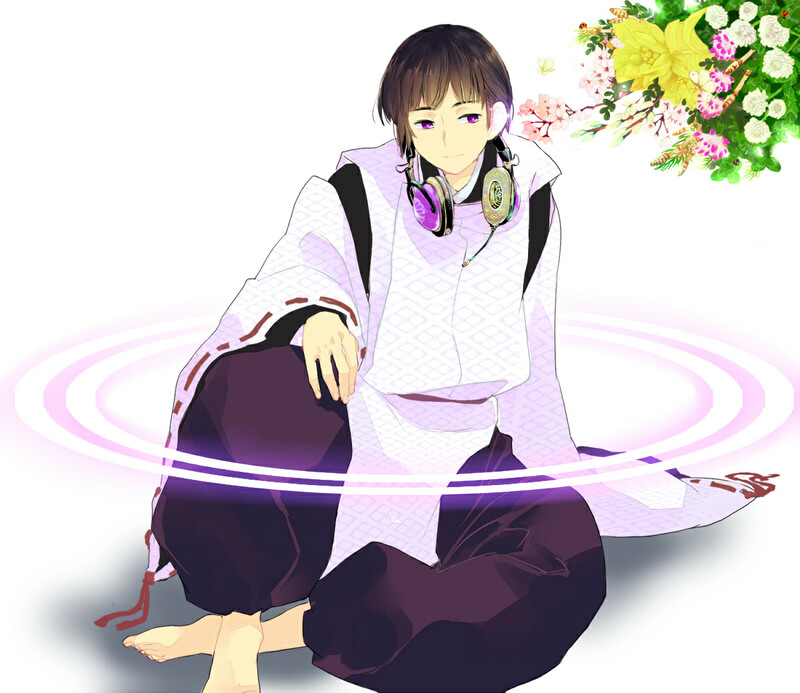 He is a parody of the voice synthesizer program Vocaloid and can only sing traditional songs. He quickly became a meme, and has appeared in various fanart on Pixiv and other places. 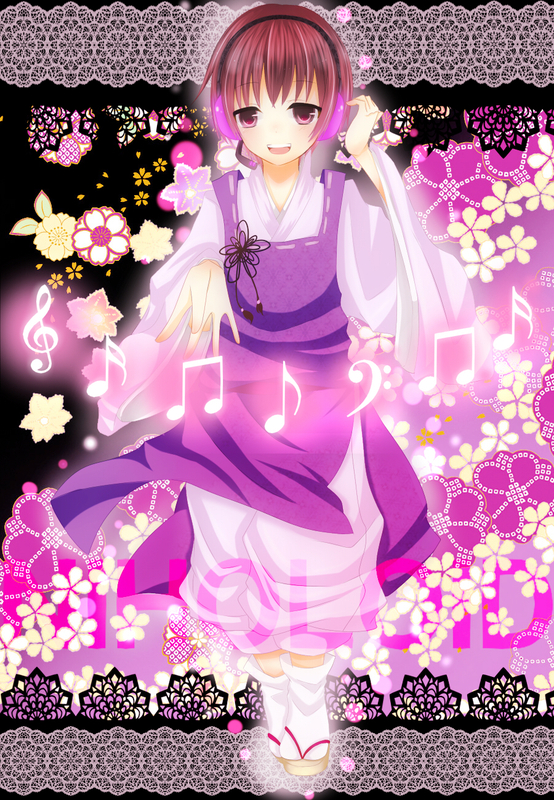 It has also become somewhat of a meme to depict the other Hetalia characters as Vocaloids, though Japan remains the most popular.